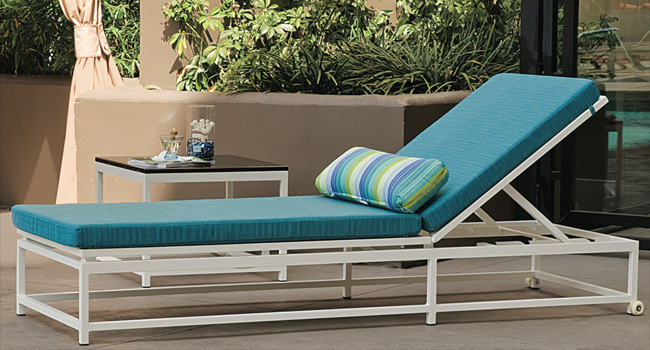 Aluminium is a lightweight – but surprisingly tough – metal with a stellar strength to weight ratio and corrosion resistance – making it an ideal material for outdoor furniture. Manufacturers maximize corrosion resistance by pre-treating the aluminium extrusions with a chrome conversion coating that deposits a thin layer of chrome on the surface. The treated frame is subsequently coated with an electro-statically applied, powder coat finish. The electro-static application method ensures 100% coverage of the metal’s surface area and provides a consistent and tough finish that far exceeds other conventional paint finishes.